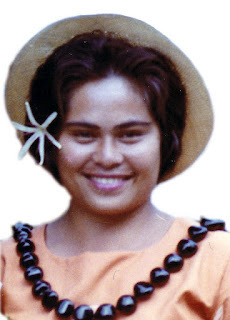 If my mother were still alive, she would have been 64 today but she only lived to be 63. If my mother were still alive, I would have asked her to recount every single year of her life. "What was it like to grow up in Samoa?" "Mom, tell me what it was like to lose your father at a young age. I can't imagine having lost mine." "Who were your friends and what did you do for fun?" "Mom, tell me what it was like to wash clothes in the stream or ride horse back along the beach." "Mom, tell me what it was like to dig for clams for dinner and walk several miles to the plantation." "What was it like, Mom, to use an outhouse." "Tell me Mom, what was it like to be you?" If my mother were still alive, I would have spent this entire past year learning how to crochet. She had been trying to teach me it all of my life. If my mother were still alive, I would have been so proud to show her my gardening techniques and my recycling techniques... all the things that she was so famous for. If my mother were still alive, I would have taken her to the graveyard to clean Great-Gramma's grave and Aunty Anapogi's grave. She always wanted to go but I was always too busy doing something else. I find myself at the graveyard often... wishing I could hear her voice just one more time. If my mother were still alive, I would hug her every day. I would tell her how much I love her and how grateful I am that she's my mother.